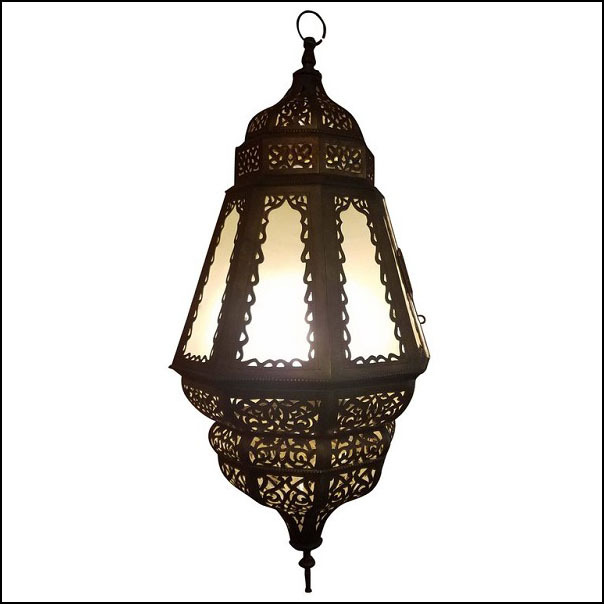 Large exotic Moroccan copper lantern measuring approximately 25″ in height. 100% handmade. 100% copper. Frosty white glass throughout makes this lamp super elegant. Excellent hand craftsmanship and design. A great addition to your home or office. Please contact us for a shipping quote or if you have any questions.